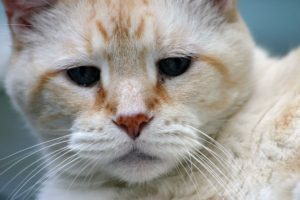 Are Those Cataracts In My Pet’s Eyes? I like to think that my dog is perfect—to me, he always will be. Sadly that’s not the reality. As he gets older parts of him start to struggle to function: they stop working so perfectly. I know that I won’t always be able to stop it, but that doesn’t stop me looking into anything I notice him struggeling with. For a while now, pretty blue clouds have started to form in his eyes. I’ve noticed him hunched—nose to the ground more often, seeming to rely on his other senses. My first reaction was to panic because I couldn’t bear to think of my little guy unable to see. Then I took action. 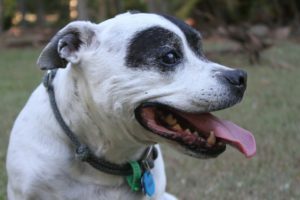 I talked to vets, looked into the genetic heritage of my dog, and found a way to help my best friend. So if you’ve been wondering if those are cataracts in your pet’s eyes, here’s how to try to figure it out! Could it be ANYTHING besides cataracts? The first thing to note is that cataracts aren’t the only cause of your pet’s eyes turning cloudy. Nuclear sclerosis occurs in both cats and dogs, as they get older. The change in appearance is due to a compression of the lens. It is a natural process that doesn’t cause your pet pain or significant loss of eyesight. The truth is you can’t! In fact, your regular veterinarian may not have the specialized equipment to tell the difference between cataracts, nuclear sclerosis, glaucoma or degeneration. There are some tests they can run to determine if there are underlying health issues or if your pet is experiencing loss of eyesight. With that in mind, it’s a good idea to call your vet before making an appointment to determine if they have the necessary equipment. If they are unable to make the diagnosis, ask for a recommendation to a specialist that can. Things to take note of before taking your pet to a specialist are whether there are any signs of severe sight loss or signs you’re your pet’s in pain. These would indicate an increased risk of cataracts that would imply a greater need to seek expert care. If your pet has cataracts there’s a chance they may require surgery. Though it should be noted that while cataract surgery is very common in humans, pet cases aren’t always right for surgery. From the size of the cataract to age of the pet, there are important counter indications your specialist will take into consideration. On your part, it’s important to be aware that the sooner a cataract is caught the more likely a successful surgical removal can be performed. If that’s the route your vet recommends, be sure to discuss important details such as success rates for your pet’s case and the possibility for complications. If surgery isn’t recommended your veterinarian will still come up with a care plan to manage your pet’s cataracts. The work doesn’t have to stop with your vet, though. There’s research that shows that glutathione is effective in preventing cataracts. It can be found in natural sources such as eggs or from supplements. Are there other supplements to help my pet? Veterinary Practice News notes that PetVisionPro has been found successful at reducing cataracts and sclerosis in pets that were unable to get surgery. While they did not provide any research along with these claims they did have testimonials from pet parents who saw improvements in the clouds in the pet’s eyes as well as their vision. Tell us about the clouds in your pet’s eyes and what you’ve been doing to manage them!